Maarten's Gaming and Painting Blog: Revival!!! A second attempt to revive my blog, mainly because it's an efficient way of sharing project progress. Currently running projects include, but aren't limited to, 28mm bolt action Prinses Irene brigade carrier patrol section, adeptus mechanicus guard army, 15mm bolt action and joining in a 2nb edition 40k Badab war campaign. The latter project has had me scrounging through my stores, looking for suitable models. I'm aiming to build a 1500 pnts Tyrants Legion; an attempt by Lufgt Huron to rebuild the Imperial Army of old. I've selected my partially painted platoon of cadian shock troops to form the core of my army, supported by a handfull of Astral Claw marines. I'm still in doubt as to which models to use for the marines. 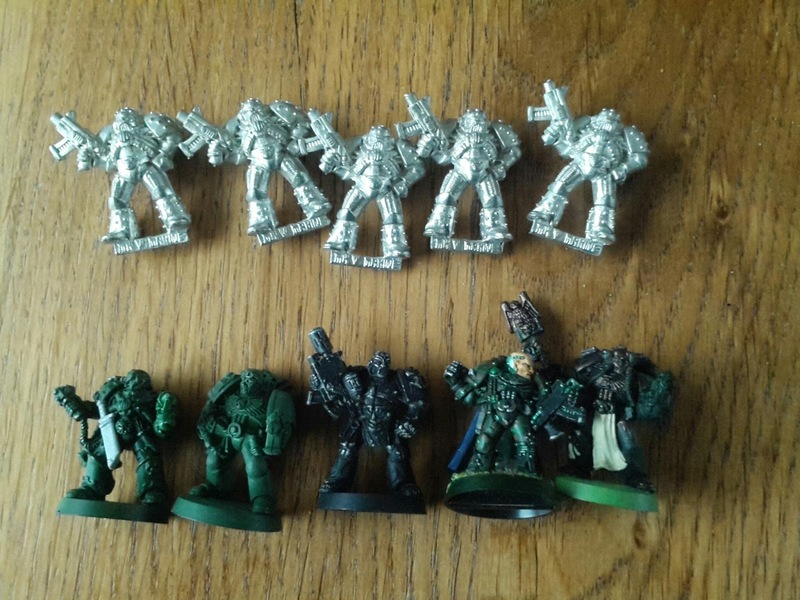 These old marines are perhaps not as fancy as the plastic new ones, but somehow they look so good. Almost cute even 😀. I'm happy you decided to join the side of the seperatists. The opposition is overwhelming enough as it is 😉. So, you also play Bolt Action, what faction does the prinses Irene Company belong to? 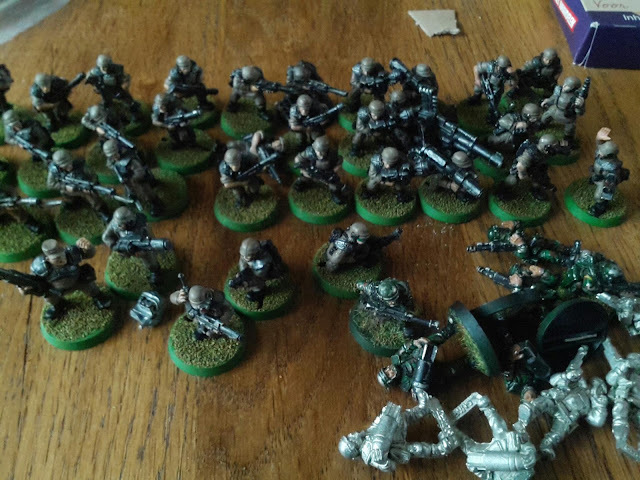 I'm currently building a Polish army and Bram has a German army, which is almost fully painted. The old ones look best, but due to their monopose they are more suited to being used as statues than proper troopers. I do play bolt action, owning a painted mid-late war German army, Soviet army, an early war fallschirmjager and a Dutch force. The Prinses Irene Brigade are late war Dutch, equiped and trained by the British, so I use their army book. I'm a major bolt action fan, it feels like the game that 40k should have been. I have yet to read the rules, but Bram mentioned they were like an updated version of WH40k 2nd edition. With my Poles I can unfortunately only play early war. Which is a bit frustrating for Bram as he can't field his best tanks. Well, my fallschirmjager are waiting for their early war regular Germans to join them, and my Russians can easily be fielded as early war as well. I like dealt war better than late, not a treadhead...The game plays more like what 3rd ed 40k should have been. Clean, fast, everchanging and lethal close combat.